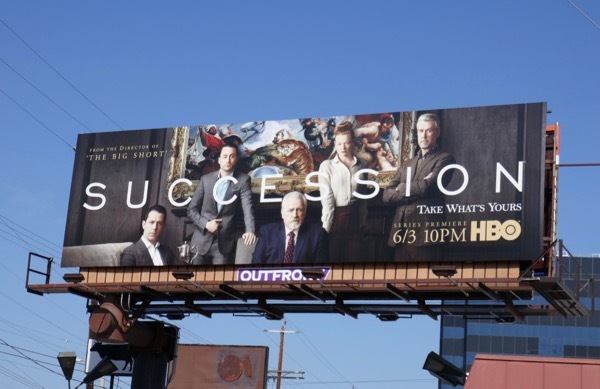 Do we need more drama in our lives about powerful, old, straight white men when there's more than enough of them in the real world? 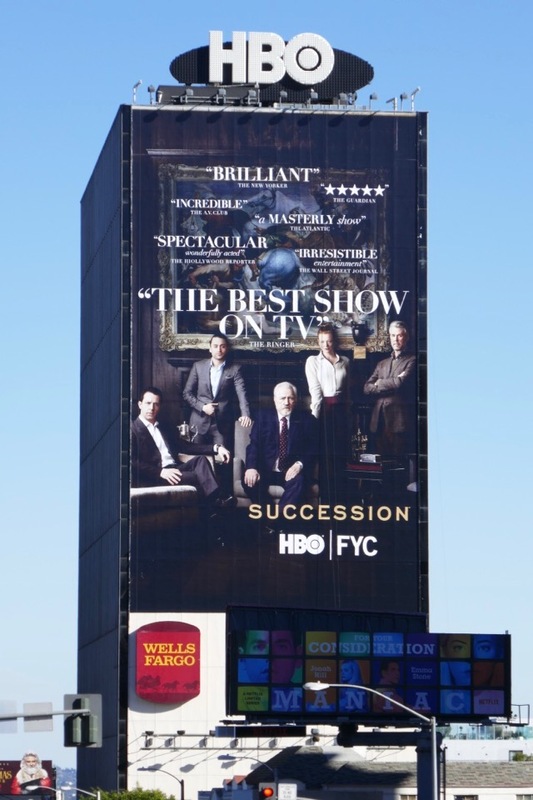 Apparently we do, or so HBO's new family drama, Succession, would suggest. 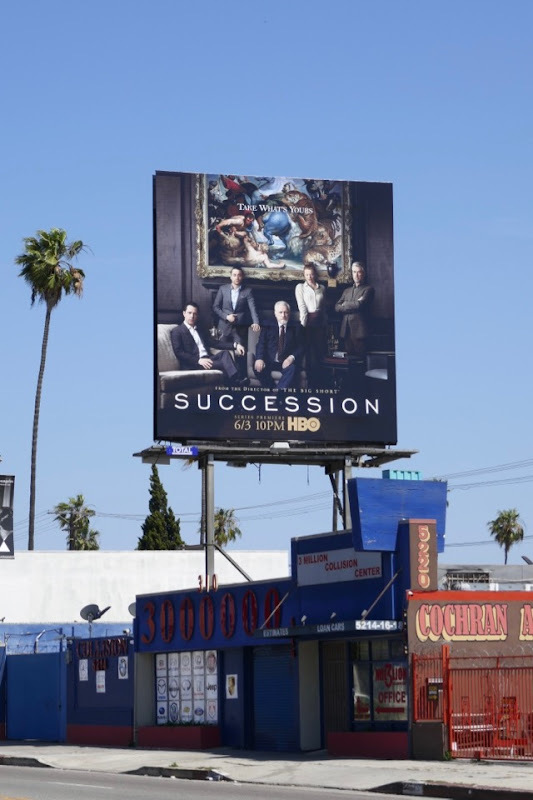 Brain Cox plays 'Logan Roy', the aging patriarch of a global media company who has several children from multiple marriages, who look like they'd all like to be next in line to run the business empire. 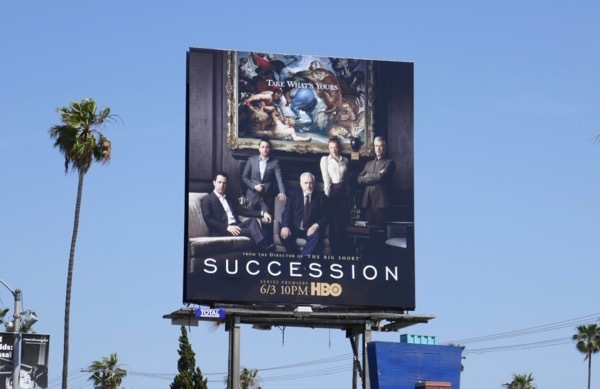 With parallels to real-life media dynasties, the new series was created by Jesse Armstrong, with Will Ferrell and Adam McKay as executive producers, and The Big Short director helms the first episode too. 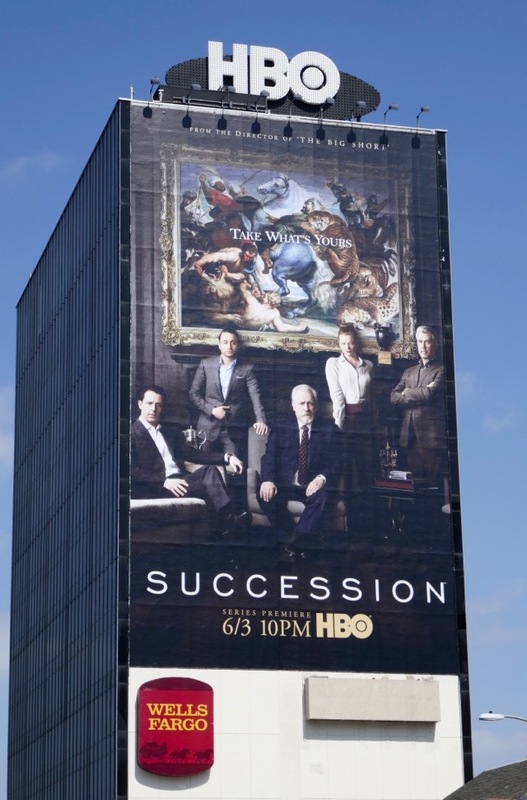 The 'Roy' clan also includes Jeremy Strong's 'Kendall Roy', Kieran Culkin's 'Roman Roy', Sarah Snook's 'Siobhan "Shiv" Roy' and Alan Ruck's 'Connor Roy', all entangled in the family's power and wealth to various degrees. 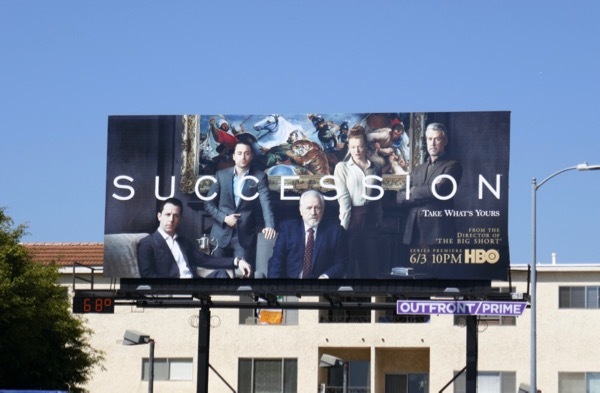 These series launch billboards for Succession were snapped along Sunset Boulevard, La Cienega Boulevard, 3rd Street, Santa Monica Boulevard and Pico Boulevard from May 23 to May 28, 2018. 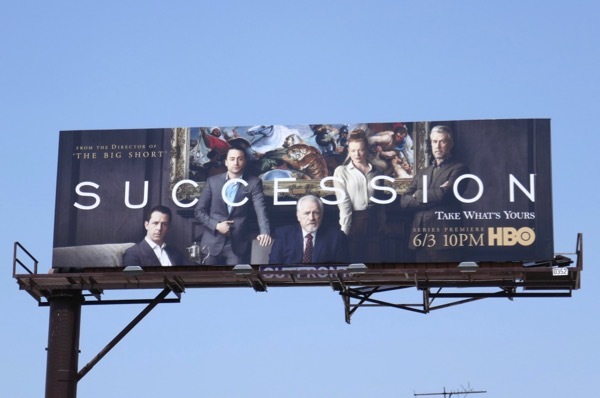 Ambition, greed, control, entitlement, all words that come to mind, but all elements that could add up to some juicy family drama too. 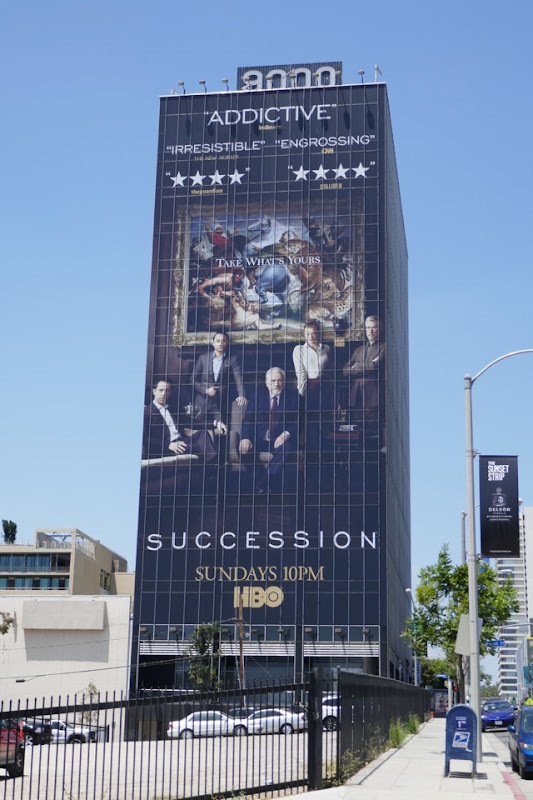 UPDATED: Here's also additional support for the freshman series with another giant review-laden billboard on the flip side of this 9000 Sunset Boulevard building snapped on June 30, 2018. 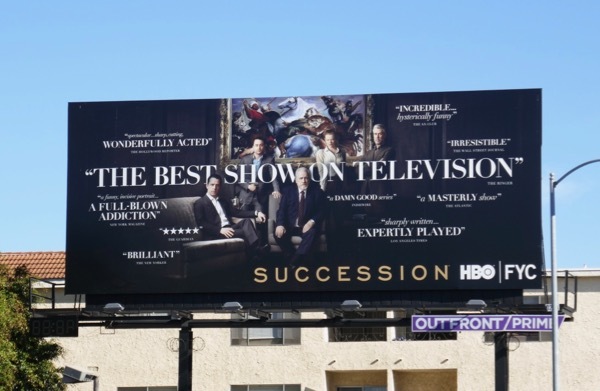 UPDATED: Succession just missed out on this year's Emmys entry timeline, but there's still Golden Globes, SAG Awards and other accolades to campaign for this awards season. 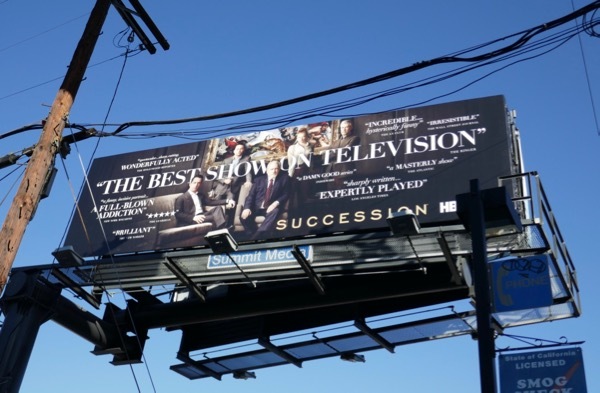 Here's a 'For your consideration' billboard for the first season spotted along Sunset Boulevard on November 14, 2018. 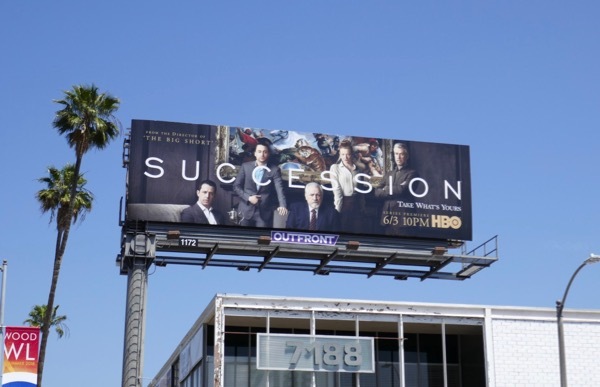 Plus here's another less obstructed example spied along Santa Monica Boulevard in West L.A. on November 26, 2018. 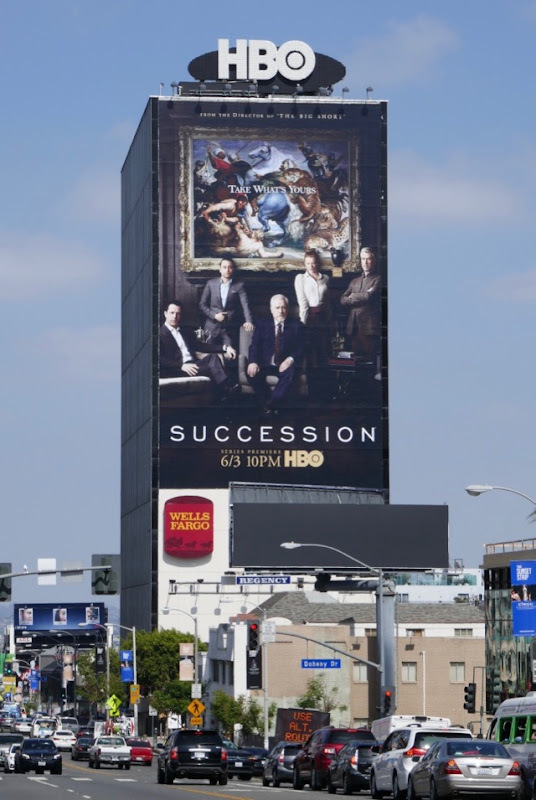 And here's also some giant-sized support for the freshman series photographed towering over the Sunset Strip on December 2, 2018.